The trial of the pro-independence leaders has begun on Monday in the Supreme Court. Among other crimes, they stand accused of rebellion and sedition for having organised the 1-O referendum and for the declaration of independence of 27 October 2017. The sitting was expected to begin at 10 AM, but it ultimately started over 20 minutes late, with the previous legal matters. 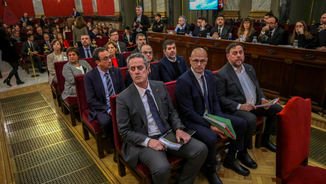 "Self-determination is synonymous with peace"
Once the presiding judge, Manuel Marchena, opened the public hearing, Andreu Van den Eynde, the attorney of Oriol Junqueras and Raül Romeva, was the first to make a statement. "Freedom of expression protects shocking or surprising ideas. The indictment criminalises words, expressions, songs, symbols..."
"Self-determination is synonymous with peace, not with war. This case prevents the development of this ideology." 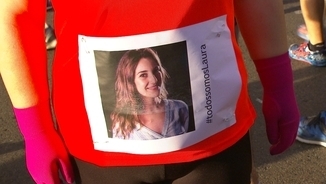 The attorney added that to include the events of 20-S in front of the catalan Ministry of the Economy in the case is an "attempt against the right to protest." 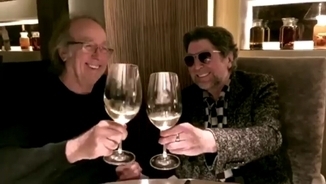 Van den Eynde opened his statement requesting that some of the witnesses and documents turned down by the court be included in the trial. 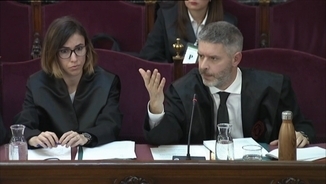 In this regard, the attorney insisted on the need for the witness accounts of Carles Puigdemont, Marta Rovira and Público reporter Carlos Enrique Bayo. 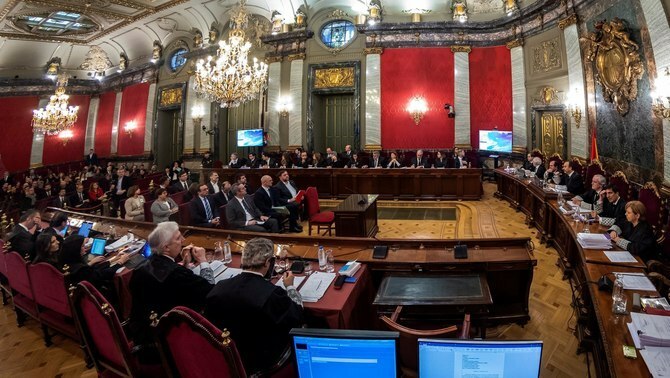 He has likewise demanded that documentation on the preparatory inquiry of the cases of the Court number 13 of Barcelona and the National Court, among other documents, be included. "We are obviously faced with an exceptional trial, and we surely all agree that it is exceptional because it is unusual; this party understands this because exceptions have been made. 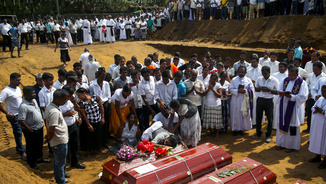 And, sometimes, these exceptions affect the very heart of fundamental rights." "It does it all. Basically, what it does is to establish secrecy of the record of the proceedings, stating that it is doing so to uphold the good name of the parties under investigation. Their good name? It took depositions from them in handcuffs, running contrary not only to forensic practice, but also to the principle of presumption of innocence." "A monitoring operation: escorts, searches, the entire Catalan government, the emails of the entire Catalan government. Without having ascertained the facts and without having given information on the accusations or charges that were being brought. I was there and I saw the judge say: "You will know what I am charging you with in due time." He said so. This is on a CD. And he told a man who was carrying a pallet with envelopes that he would charge him with rebellion. 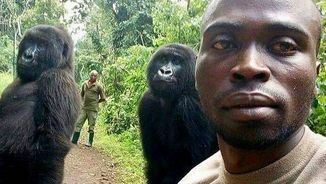 The man almost died." Van Den Eynde denounced that many actors have joined the criminalisation of the pro-independence movement. 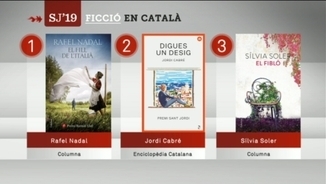 He specifically criticised the bus hired by the Ciutadans party that travelled around Spain with a picture of Oriol Junqueras, asking for him not to be pardoned and assuming that he would be condemned, and which he described as "the Wild West in the midst of the 21st century". 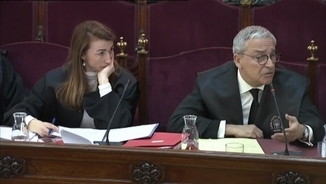 In his speech, Xavier Melero, the defence counsel of Joaquim Forn and Meritxell Borràs, requested the joinder of the indictment of Major Josep Lluís Trapero on the same facts being investigated by the National Court in this case. "Severance has led to an anomalous crossing of subjects between both sides of Villa de París square, as some of the accused will be making statements as witnesses in the trial of the National Court and, conversely, the defendants in that case will be coming here as witnesses." 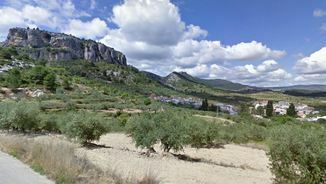 According to the defence counsel of Forn and Borràs, the joinder of the cases would allow for the clarification of a number of points on the facts deemed to be criminal infractions that are currently unclear. 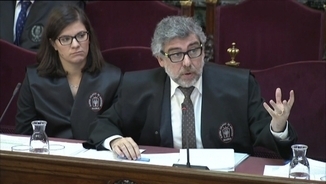 Jordi Pina, the defence counsel of Jordi Sànchez, Josep Rull and Jordi Turull, has questioned the neutrality of the examining magistrate in this case, Pablo Llarena. "Whenever a magistrate uses the first person plural, it is reasonable for the accused to doubt his neutrality or objectivity." "What would happen if, a few months from now, the Constitutional Court should rule that the rights of the accused have been violated, thus rendering the entire proceedings null and void?" "Perhaps Cosidó made it up, but Europe always tells us, as can be seen in the ruling of the Otegi case, that appearances are important. I can tell you that I am unbiased, but these proceedings have an air of bias." 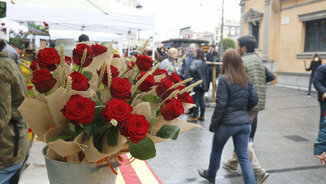 Pina also quoted the private letter sent by the president of the General Council of the Judiciary, Carlos Lesmes, to the circuit judge of Court number 13 of Barcelona a few days before his death, in which he described him as a hero because he "had changed the history of Spain". "You should be magistrates, not national heroes, and there are those who would depict the magistrates of this court as defending the unity of Spain. Act as judges, not as saviours of the homeland, as that is not what this trial is all about." 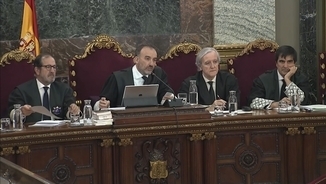 The presiding judge of the court, Manuel Marchena, opened the sitting, establishing the contents thereof and providing each defence counsel with 45 minutes to make representations. 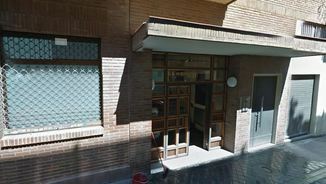 Marchena has justified this length of time by stating that he had added up the lengths of time established by the Court of Justice of the European Union and of the European Court of Human Rights, which amount to 15 and 30 minutes, respectively. Related interactive resource: "The key areas in the trial"